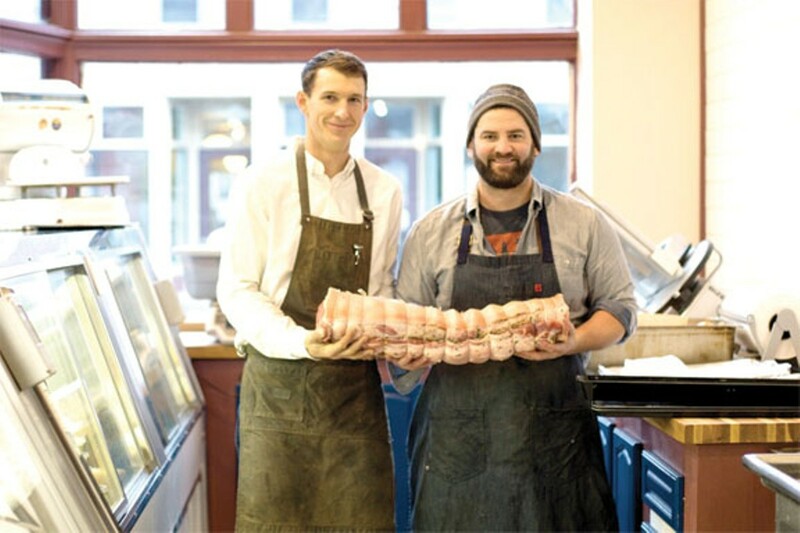 Reports of the death of the small neighborhood butcher shop have been greatly exaggerated. At West 32nd and Lorain, you'll find Ohio City Provisions, which happens to be the neighborhood grocer to a very hip and food-obsessed neighborhood. This meticulously run shop stocks meats that tick off all of the health-conscious requirements: locally reared animals raised without the use of hormones, antibiotics and GMO-laden feed. Which means, of course, that the meat is some of the finest protein in all the Land. Its preparation is great too, with display cases overflowing with cuts that are hand-carved the Old World way. You can order a whole smoked ham or a Frenched rack of lamb for the holidays, or just walk in any day and purchase grass-fed ground beef, three finger-thick Porterhouse, or bacon sliced as thick as you'd like. While you're there, grab some staples like farm-fresh milk, eggs and butter. 3208 Lorain Ave., 216-465-2762, ohiocityprovisions.com.